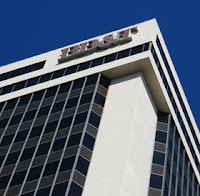 BB&T Corporation will lease the former American Express call center in Greensboro to create a new office to handle administrative and back office tasks, a move that could create as many as 1,700 jobs over the next five years. The Winston-Salem-based bank said it plans to eventually have as many as 2,500 employees working at what will now be called BB&T Triad Corporate Center. The office should open by the end of the year, with 50 to 100 employees. The company's headquarters will remain in downtown Winston-Salem. Read more. It is possible to absolutely identify great fake prada bags parts by using storage area revenue, old-fashioned shopping malls, flea areas, and even your neighborhood bead retailer, yet My partner and i frequently have far better fortune using the internet. The most effective method is always to recognize the most effective search words. Although any seek out fake hermes may well produce several amazing and also unforeseen final results, an even more enhanced lookup, just like "hermes outlet and also old-fashioned beads, " can easily recognize the those items you may well be searching for. In reality, I do believe it’s really unlucky. In case you are not sure concerning certain vocabulary, focus on a broad lookup, just like "antique fake breitling watches parts. " This may provide you significant amounts of details and also then you can certainly decide which usually aspects of attention you desire to carry out certain looks for. At some point, blending upwards and also incorporating fake breitling and also terms in your search words can let you locate just what the will need. I think that if you want to provide your kids with good job in the future, this information will be useful for you. You can read about my fav educational system here. Thank You For Amazing Information Admin Please Check My Article.